1862 Indian Head cents are made from copper-nickel, much like all the so-called “small cents” that precede and those that were made the following year, as well. 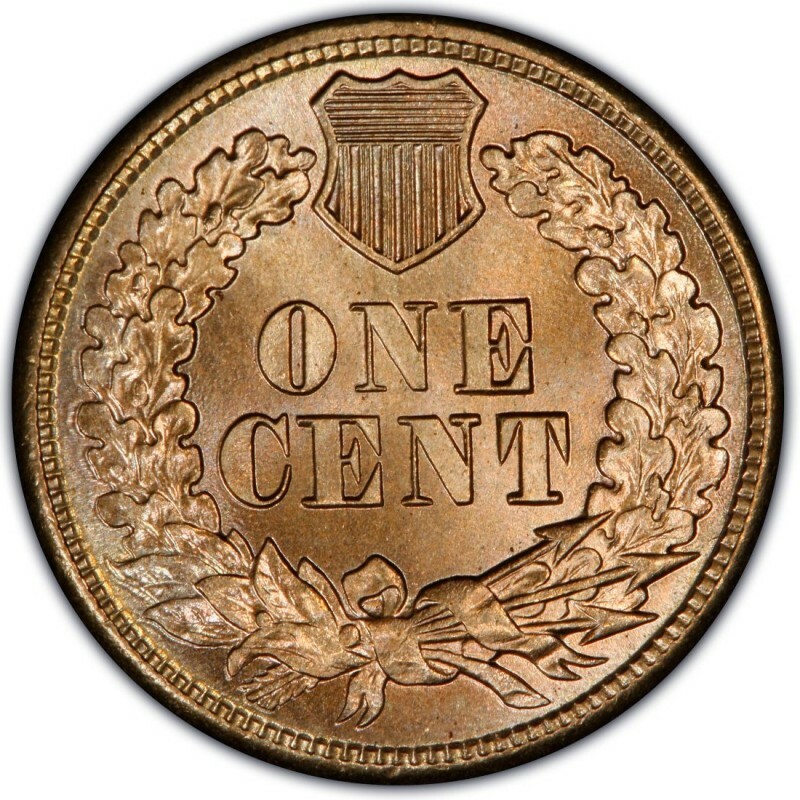 Early small pennies are often called white cents because of the whitish color imparted by the nickel in the coin. 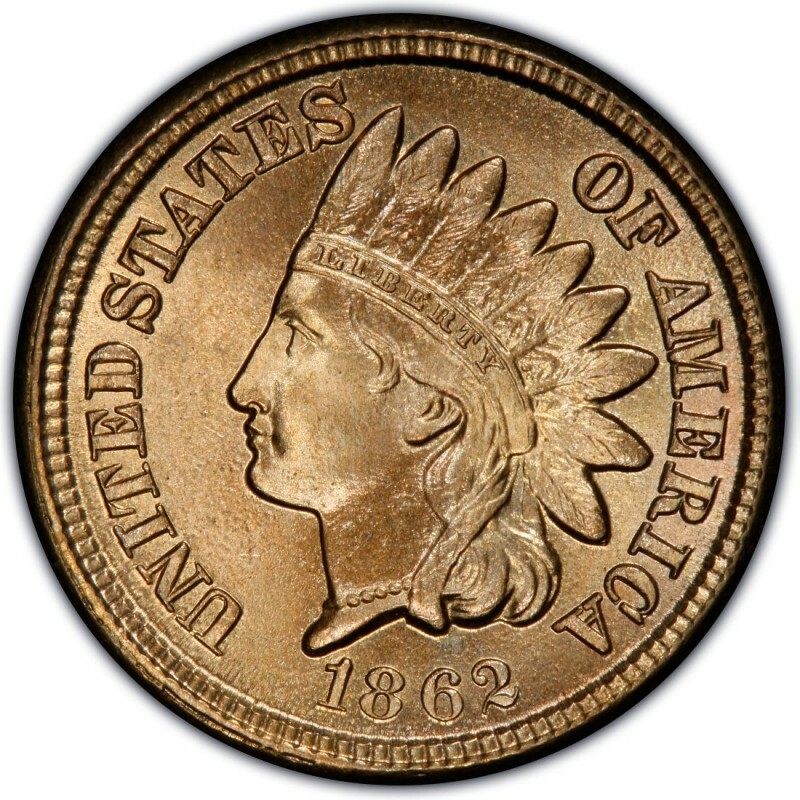 Indian Head pennies, which first appeared in 1859, were designed by famous coin engraver James B. Longacre, whose 12-year-old daughter is the basis for the model of the “Indian” on the penny. The story goes that a Native American chief playfully donned the young girl with a traditional headdress, and the designer, amused at the sight, quickly sketched a picture of the scene to show his wife. The figure on the obverse is supposed to be Miss Liberty in Native American traditional headdress. 1862 Indian Head pennies were struck to the tune of 28,075,000 pieces, and sell for about $12 in a grade of Good-4. 550 proofs were made, and these are offered at $2,350. While the 1862 Indian Head cents are relatively common, they are an integral part of any complete collection of the series. Beware of corroded or discolored 1862 Indian Head pennies, as these are quite unsightly and not worth nearly the values listed here. In general, the higher a grade you can afford, the better.